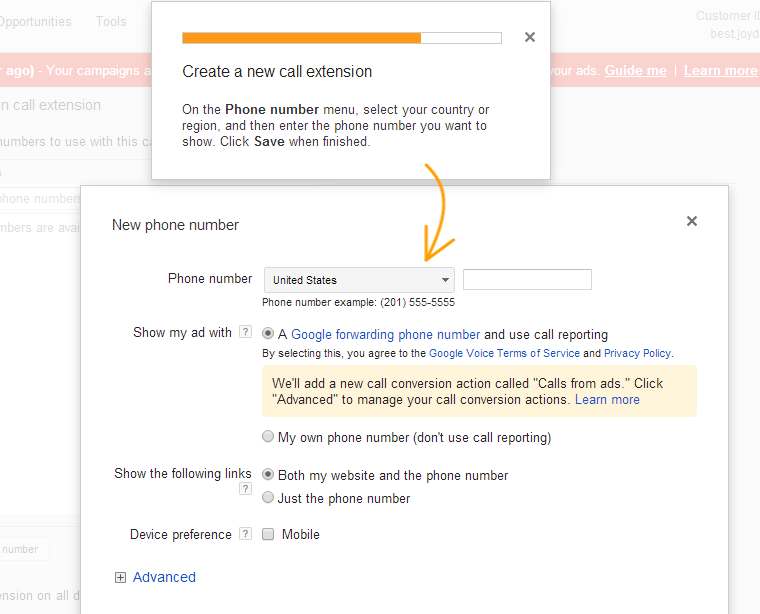 Adwords call extensions helps your business receive instant calls with the help of Adwords ads displaying click to call buttons on the users high end mobile device. This is great as instead of clicking on your site to know the mobile number and then manually call your business, the customers are provided with an easier option to call with a click displayed on the Google search result page itself. 1- Your business phone number gets displayed with your ad. 2- A clickable call button is displayed but only on supported mobile devices. 3- Same cost as a standard CPC. 4- Easy to create and you can share them across your entire campaign or ad groups. 5- Calls can be counted as conversions. How to Set Up a Call Extension? 2- Go to the Ad Extensions tab and choose Call Extensions from the View menu. 3- Enter your phone number. Please note: Call extensions can't be added for “Display Network only - Remarketing” or “Display Network only - Product Listing Ads” campaign types.